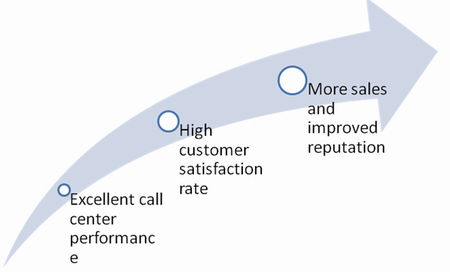 Call Center Metrics: What Do They Measure? If you are concerned with effective performance and profitability of your call center, then you should try to understand the needs and requirements of your clients. However, this task is not as easy is it may seem. This is because it seems hard to define what problems exactly prevent your customers from getting the most out of your services and what changes could change the functionality of your organization for the better. That is why it is simply impossible to imagine a credible call center without well-established metrics. The truth is that they can affect your call center productivity in many ways and it is up to you to make this organization as profitable and effective as you wish. When we try to consider the most important and effectual call center metrics, we should initially focus upon the following aspects: service level, forecasting accuracy and adherence to a certain schedule. Let us have a closer look at these metrics to understand their essence better. Service level, which is also referred to as general response time, is considered one of the most standard metrics established in such organizations. If you do not manage to put it in place and make proper measurements, then you will fail to define how accessible the call center proves to be to your clients. Meanwhile, this items is of great importance, because the better the accessibility of your services is – the higher the rate of customer satisfaction will become. Furthermore, this metric can help find out the approximate number of agents needed to provide effective servicing. This will result in proper compatibility of your organization. Service level and response time matter a lot for managers, who consider it important to identify the connection between the availability of their resources and the ability to reach the goals they have initially set. Another popular metric is schedule adherence, which helps detect the overall amount of time a call center agent needs to handle the calls during one shift. An ideal rate is 90% here, which implies that an agent should manage to handle inbound calls 54 minutes per one hour. This includes the “after-call work” as well. Forecasting accuracy is one more powerful metric that implies the correlation between the approximate number of forecasted inbound calls and their final quantity. This indicator should not be overlooked. Otherwise, it will be not easy to define the amount of employees required both to keep the customers satisfied and ensure adequate financial expenditures. Call Center KPIs: Which of Them Are Worth Applying? Functioning of large companies depends to a great extent upon the performance of their call centers. This is because their main aim is to satisfy the requests and needs of customers, which, in its turn, will affect the popularity of a company as well as its income. Therefore, it proves to be clear why the work of call center agents is so important. All call centers are typically subdivided into two categories: those that are responsible for managing incoming calls in order to solve the customers’ problems and those, which aim at making outbound calls to make surveys and fulfill other similar tasks. However, it does not really matter what organization exactly you are currently managing, since you will be concerned with the only objective – to make it productive and popular with the company’s clients. If this is really what you think about, then you should certainly focus on call center KPIs and their role in the performance of your organization. As far as one of the main missions of a call center is to provide customers with valuable help and support, the Balanced Scorecard System is that powerful tool that will make it possible to evaluate the way your call center functions. 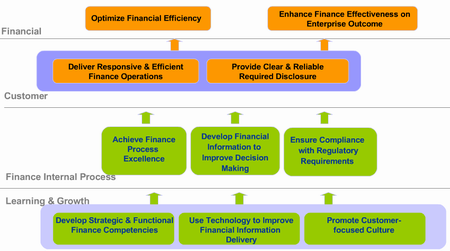 This is effectively done through the implementation of key performance indicators. So, which of them are really worth applying? Nowadays, it is easy to differentiate between the following call center KPIs: average call handle time, first call resolution, customer satisfaction, average speed of answer etc. Though the list of metrics is not limited to this one, the above mentioned KPIs are still the most influential and important for the evaluation of your business. So, if you seriously intend to contribute to its advancement, then you are bound to realize the significance of these KPIs and their timely implementation. The truth is that properly set up metrics will become those valuable tools, which will help you keep track of the current performance of your call center so that you could be able to define any problems that may prevent it from becoming productive. As a matter of fact, KPIs are helpful in a number of ways. They do not only help trace the ongoing changes that take place in your company, but also motivate its managers to be determined when achieving both long- and short-term goals they have set. As a result, this will affect both the company’s business advancement and its profits. There are lots of factors that affect the performance of a call center in different ways. Productivity of agents is only one of them, but it is still extremely critical when it comes to assessment of the functioning of this organization in general. However, a lot of call center managers keep wondering how they can evaluate their agents better. This is where KPIs or key performance indicators prove to be really useful. They are considered the most powerful and effective measures of quality and productivity. Unfortunately, lots of businesses fail to set them up properly, which leads to inadequate evaluation of the overall call center performance and extra financial expenditures. Though it takes time to learn the role of these metrics and the procedure of their effective implementation, it still makes sense to consider this issue if you wish to assess the work of your agents properly. So, what call center metrics are worth to be introduced? Which of them will suit your business needs in the best way? The first KPI we will discuss further is average handle time (duration). The importance of this metric should not be underestimated, because your company will certainly benefit from finding out how to handle inbound calls both quickly and efficiently. In this respect, your agents should be aware of how to come up to customers’ expectations and make them pleased with the quality of services they get. Another KPI worth focusing on is referred to as personnel shrinkage. It implies the overall amount of time an agent is on the clock not being able to handle incoming calls. The truth is that all employees, irrespective of their age and experience, should be provided with adequate training in case of necessity in order to become more knowledgeable and productive. This will result in the increase of employee engagement and personnel satisfaction. Reduction of turnover rates will be observed as well. Finally, there is one more metric we should mention when it comes to evaluation of agents. After call work (wrap time) is what we are talking about. The importance of this KPI is explained by the fact that call center managers should teach their employees to switch from one incoming call to another in order to handle them quickly and properly. Unfortunately, some businesses are so focused on the enhancement of the number of handled calls that they are just unable to understand that each employee needs at least one minute of rest between the calls to be able to solve the customers’ problems effectively. If you intend to enhance your call center performance, then why don’t you start with metrics mentioned above? They may be helpful to you if you know how to implement them correctly. 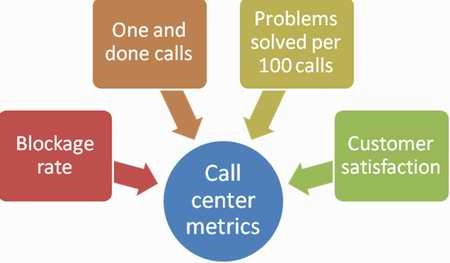 Call Center Metrics – Are They Interrelated? It is no secret that each business owner is driven by a single goal, namely business advancement and promotion of the company’s performance. There is nothing surprising about that, because the more successful the organization is – the higher profits it will generate! Nowadays there are many strategies that can help you improve the credibility of your call center and contribute to its efficacy and success. Accurate and timely implementation of call center metrics is only one of them, but it is still reported to be the most effectual and powerful tool when it comes to the analysis and management of this organization. The number of call center KPIs or metrics is truly striking these days and you can easily be puzzled with that issue. However, you do not need to establish all of them at the same time, since it will be just a waste of your time and money. Instead, you should learn more about popular types of these metrics and their role in the process of measuring call center performance. This is what we will talk about further. If you wish to indentify the most effective call center KPIs that may affect your business advancement as well, you will not go without the following metrics: employee and customer satisfaction, level of servicing, contact quality, agent attrition, forecast accuracy, first call resolution rate, schedule adherence, workforce productivity etc. These are undoubtedly highly essential call center metrics you should focus on when analyzing the work of your organization. Furthermore, nearly all of them are interconnected and you cannot just analyze customer satisfaction metric, for example, without taking into account workforce productivity or agent attrition. Apart from the above mentioned KPIs, we should also consider average call handle time, abandonment rate and average speed of answer. Thus, focusing on average call handle time metric helps detect the overall professionalism of employees and quality of their work. The more calls are handled by your agents during a day properly, the higher their knowledgeability is. High abandonment rate is one of the most urgent problems lots of contact centers face today. Implementation of the corresponding metric can help you define whether this indicator needs improvement in your company or not. If the percentage of people who hang up before having their problems solved is quite high, then this is the sign for you to make any changes in this direction. This KPI is closely connected with the average speed of answer (ASA) and service level, which help identify the amount of time a person waits on hold before an agent receives his/her call. The lower this index is, the lower the abandonment rate will become. With that said, it is not difficult to conclude that the majority of call center metrics are interrelated, so take your time to analyze them accurately and regularly. First Call Resolution: How Essential Is It? What are the best ways to enhance the productivity of a call center? A lot of managers are concerned with this question nowadays because they wish to make their business profitable and successful. If you are puzzled with this problem as well, then you will certainly benefit from learning more about call center KPIs. At present, the prevailing number of experienced call center managers believe that some KPIs are more critical when it comes to improving customer satisfaction, loyalty, proper call center performance and employee productivity. These are response time, adherence to schedule, contact quality, self-service accessibility and first call resolution. 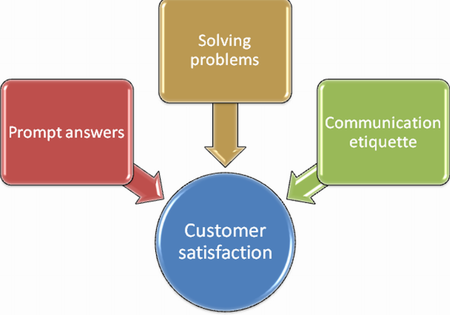 It has been recently proven that the latter indicator has a greater impact upon the level of customer satisfaction as compared to others. 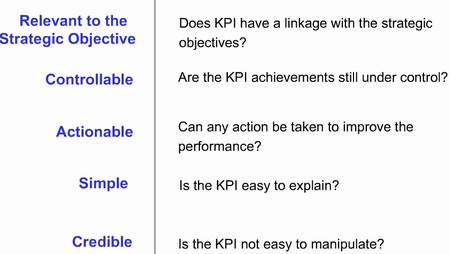 What qualities KPIs should have? What makes first call resolution rate so critical? To answer this question, you initially have to think about the motives and expectations of people trying to contract call center agents. What do they need? How is it possible to meet their requirements in the best way? A lot of callers, by the way, are puzzled with specific problems and they obviously wish them to be solved the sooner-the better. The speed of answer means a lot for them, but that’s still not the best factor they are looking for. 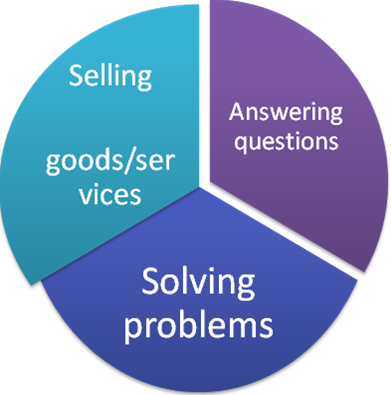 What they expect is to have their problems solved qualitatively. Otherwise, they will have either to make extra calls (which is a waste of time for them) or look for other call centers. With regard to this, it becomes clear that the higher the rate of first-call resolution is – the better the overall customer experience may become. A call center, by the way, will benefit from this situation as well, since the decreased amount of repeated calls will eventually result in the reduction of call center expenses and enhancement of its financial performance. In case first-calls resolution leaves much to be desired in your company, you should define what exactly causes the problem. Actually, there may be several reasons for that. For example, your agents may occasionally face situations, when they know the solution to callers’ requests, but do not possess the required authority to solve them. They do not have any other choice but to ask people to stay on-hold for a specified time interval, which undoubtedly increases the amount of unsatisfied customers and abandoned calls. Another problem is that some agents may not have proper training and knowledge required to deal with all inbound calls effectively. These are only a few issues you should analyze and consider if you intend to enhance your call center performance. Establishment of key performance indicators also known as KPIs is the best way to define how well a call center is running at a particular moment of time. These indicators are reported to be really efficient when it comes to evaluating both the performance of your organization and personnel productivity. The truth is that you are recommended to identify what factors exactly contribute to your business success in the best way. Furthermore, you need to estimate the process in the general instead of applying numerous call center metrics at the same time. What you should realize is that not all metrics will be critical for your company, which means that you should analyze and select those of them that are related to your specific business. How should that be done better? 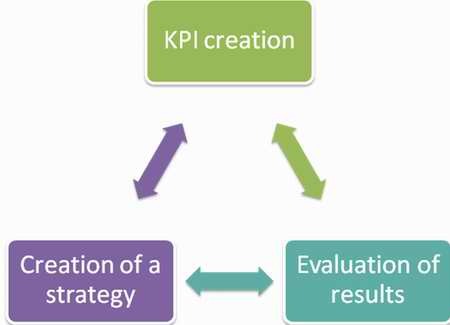 Are there any principles and guidelines that can help you select correct KPIs? What are the basics of their implementation? Let us try to find answers to these important questions below. 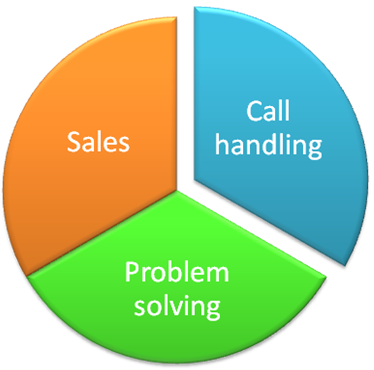 Call center KPIs are significant for any telemarketing business. This is because they play an essential role in contributing to better analysis and management of all call center information. Such metrics as employee punctuality, average call response time, customer satisfaction, workforce productivity as well as the overall amount of time an agent is on the phone when handling the problem, are reported to be the most common. This, however, does not prevent them from being extremely important, because they can substantially facilitate the evaluation of call center performance in general. If established properly, these KPIs help managers identify current problems, which can negatively affect their business. As a result, it makes it possible to implement timely and reasonable changes for the benefit of your organization. So, what KPIs can be urgent for the majority of telemarketing companies? These are employee productivity, customer satisfaction, first call resolution rate etc. The latter is one of the most important of them, since the quicker and the more qualitatively a call is handled – the more incoming calls an agent will be able to receive during a day. This metric, however, is closely related with other KPIs, which should obligatory be in place in order to contribute to effective business improvement. Thus, first call resolution is primarily interconnected with workforce productivity, because an agent should be knowledgeable and qualified enough to be able to solve problems effectively. Otherwise, it will be negatively reflected in overall call center performance. KPIs (key performance indicators) are those tools that help measure the overall performance of a call center as well as the efficiency of its main operations. Some of these indicators are applied to evaluate the general performance of this organization, while others focus on employee productivity. Their basic objective, though, is to ensure the contact center meets its current goals and the employees achieve their maximum productivity and work potential. Key performance indicators are generally categorized into quality, service and efficacy measures. They are also subdivided into those that pertain to inbound and outbound calls. 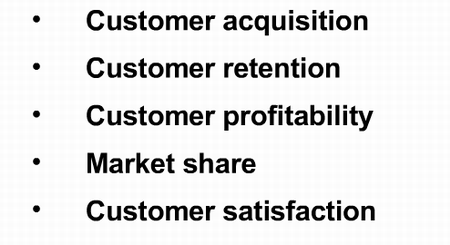 Let us have a look at the most important KPIs related to both categories. When it comes to analyzing inbound call center operations, we should primarily focus on the following metrics: calls per hour, first-call resolution rate, average handle time, average wait time, abandonment rate and completion rate. Call per hour is the so-called “real time” metric that helps measure the average amount of calls an employee is able to receive during one hour. First-call resolution rate is used to identify the approximate number of problems and queries an agent can manage to resolve within the very first telephone call. The next KPI, namely, the average handle time, is applied to find out how much time it takes to handle one call. This involves the call time as well as the after-call work. 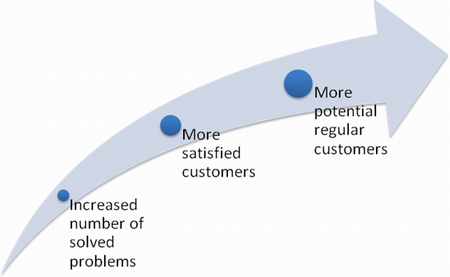 The average wait time focuses on how long a customer is typically put on hold prior to having his/her call answered. This metric is closely related to the general abandonment rate, which measures the percentage of callers who disconnect before an employee intercepts the call. Finally, a completion rate metric represents the ratio of successfully handled calls to the amount of attempted ones. So, what about the outbound calls? Are there any KPIs that measure their efficacy as well? Actually, there are. These metrics include: contacts per hour, leads conversion rate, hourly sales and daily sales. Contacts per hour is a significant indicator, which helps define the average amount of people a call center agent is able to contact during one hour. Leads conversion rate, in its turn, is an indicator that is applied to reveal the percentage of prospects that have actually been converted to sales, while the hourly sales metric is used to identify the number of sales that were successfully closed by the agent during one hour. 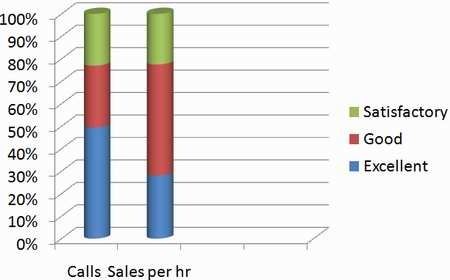 When there is a need to define the amount of sales the employee is able to close during the whole working day, the daily sales metric is applied. The above mentioned KPIs are highly valuable when it comes to maintaining a consistent service quality level. Their proper implementation is the key to effective call center performance measurement. 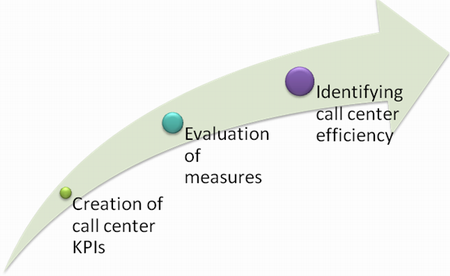 Nowadays, there exist lots of new approaches to the process of measurement the overall call center performance. All of them are claimed to be highly effective, but that’s not the way it really is. The fact is that one and the same performance evaluation system may not fit all call centers simply because they have diverse goals and, what is more important, diverse problems. As a result, owners of these organizations often puzzle their brains trying to work out the best metrics, which will fit their companies in the best way. Let us look at this process with regard to the forward-thinking perspective. The detailed analysis of the most popular call center KPIs makes it possible to assume that there is an increased need to focus on efficacy measures today. These involve call duration, level of first-call resolution and conversion rate. Nonetheless, recent studies have shown that a more advanced perspective is emerging these days – the one that is able to balance customer needs, well-being of agents and specific organizational goals. That is why, there is a necessity to point out top call center metrics you just cannot go without when measuring its performance. These indicators can be applied to all the areas we have just mentioned. 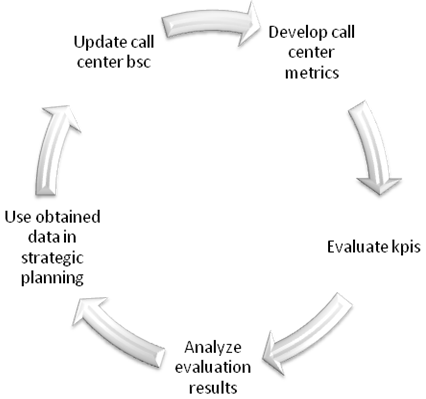 At present, the most significant (if not critical) key performance indicators for the improved agent performance involve quality scores that result from e-mail and call assessment and adherence to schedule, which shows that the planning integrity of the call center and the schedule is properly maintained. Another metrics to be focused on are employee productivity (the amount of calls processed during the time when an agent is available), customer feedback scores (relate to the employee’s performance and general advocacy of a customer) as well as lateness and sickness that are applied to track an unexplained absence of an agent during the working time. These metrics seem to be the most important when it comes to the evaluation of employee performance. 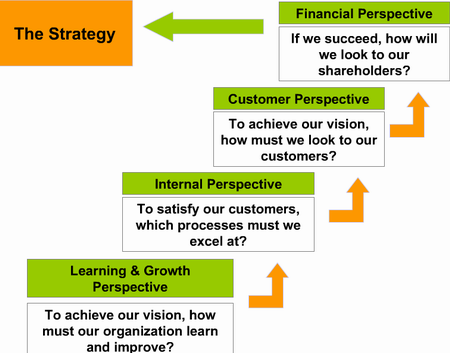 Now we may proceed to defining the most significant KPIs from the point of view of the organizational objectives. Actually, there are five of them, which require precise attention. These are call center churn (a metric, which reveals the organizational culture), forecast accuracy (the approximate percentage deviations between the actually received calls and their forecasted amount), cost per contact, achieved service levels (call answer time, abandon rate, e-mail turnaround time etc.) and failure demand reduction, the basic goal of which is continuous performance enhancement. Now that you are aware of the most effective call center metrics, it is up to you to decide which of them are more critical for your organization at the moment. 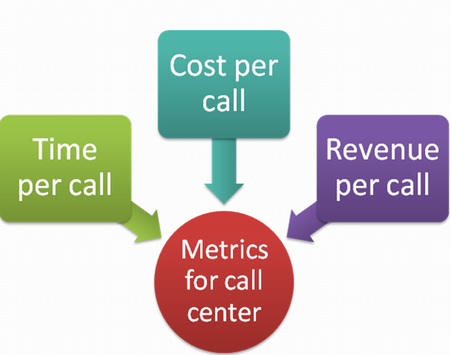 The Most Vital Call Center Metrics: How to Pick Them Out Properly? Modern contact centers realize that they face a necessity to differentiate between diverse stats and corresponding data in order to be able to set up and implement metrics, which can help reveal those internal processes, which contribute to the improvement their business performance. Well, this task may seem not that challenging at first sight. Still, when you try to get the insight into everything that goes on in your call center, you start realizing that the situation is much more complicated. On the one hand, it proves to be obvious that such key performance indicators (KPIs) as the amount of successfully handled calls or the average handle time will certainly increase the overall call center productivity, but they will also have a negative impact upon the quality of services. On the other hand, though, it makes no sense to think only about quality and overlook quantitative indicators at the same time, because it may negatively affect the rate of customer satisfaction and the amount of financial expenditures. So, what is the most reasonable approach to this situation? The answer is as follows: the most rational solution is to work out and implement only those metrics, which will perfectly fit your call center with regard to its specialization, employee experience, current productivity, profitability etc. Therefore, this process may be time-consuming and painstaking, but if you cope with it successfully, the performance of your contact center will undoubtedly become much more improved and this is exactly what you should aim at. If you have never implemented metrics in your company before, then there are certain tips that may prove to be helpful here. To start with, you should find a right approach to the process of picking that handful of KPIs, which will represent the balanced performance of your organization in the best way. In this respect, it is advisable to consider such factors as the essence of the metric, its purpose, the type of a contact center you have, the level of technical support, the quality of back end reporting systems and data in general etc. If you own an inbound call center for a top credit card company, for example, and wish to improve its performance, you are recommended to focus on such metrics as productivity (average handle time), schedule adherence, quality of servicing, customer service (rate of first-call resolution) and refunded fees per one call, which pertains to the credit card business. This example shows that the choice of metrics you are going to set up in your contact center is closely related to its specialization. 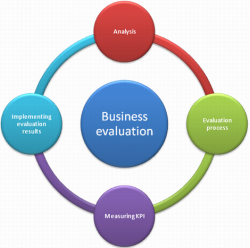 So, analyze all the above mentioned factors thoroughly to define the best strategy for the benefit of your business. A typical call center is generally defined as a place where lots of contacts are made through receiving inbound calls and processing outbound ones. This special place is frequently considered an “entrance” to a certain business, since this is exactly where customer interactions usually occur. No wonder, effective operation and successful contact center performance are those assets each company or organization should strive for. Nowadays, the number of call centers keeps increasing and there is hardly a reputable company that does not consider it highly important to provide these services. Thus, we may differentiate between different types of contact centers, which serve diverse customer needs and perform various operations. Despite of the function, size and type of a call center, there is one aspect that matters to all of them. What we talk about is their efficacy and performance, which often depend upon how well call center managers are able to define the indicators or metrics that affect them and ways of their improvement. So, what are these metrics and which of them can be critical for your business? The indicators we are going to discuss in this article are average handle rate, blocking rate, cost per one contact and, of course, customer satisfaction. Average handle time (AHT) is the approximate amount of time a call center agent typically spends engaged both into the process of handling a call and the after-call work. The importance of this indicator should not be underestimated, since it is closely related to another metric, namely the level of customer satisfaction. It is quite understandable that callers want their queries to be resolved effectively and in time, so if you manage to implement this metric properly, it will certainly increase the reputability of your contact center. The next metric that is vital for this business is blocking rate, which is applied to make sure your clients are able to get in touch with your call center agents any time they need their help. Ideally, this indicator should not exceed 1%, because the higher it is – the lower the customer satisfaction rate will become. Finally, we will focus on a metric named cost per one contact. It allows contact center owners to define whether they have to invest into the improvement of its technology or not. Understanding and setting proper metrics may be quite a painstaking process for call center managers. Still, the result is really worth the effort, since KPIs are the most effective and powerful tools, which can help you identify current performance problems and work out the improvement strategy that will work pretty well for your business!